Nitric oxide (NO) is shown to play a major role in kidney functioning, reducing blood pressure and building muscle. Fortunately, it can be produced in the body through consuming nitric oxide foods that can supply the essential ingredients required for NO production. The enzyme nitric oxide synthase (NOS) produces nitric oxide from the amino acid L-Arginine. Research studies conducted on L-Arginine and nitric oxide, found that vitamin C, vitamin E and vitamin B are also required for the enzyme to successfully produce NO. These days people are taking nitric oxide supplements to obtain its benefits. However, while supplementing, you should keep in mind that NO is a free radical and in excess quantities can damage the tissues and cause nitric oxide side effects. Therefore, it is important to regulate the dosage taking care not to go beyond the recommended limit. 1. Beets – Beetroot juice contains nitrates that are shown to decrease blood pressure and improve athletic performance. 2. Collard greens – Green leafy vegetables are high in nitrate content. 3. Nuts – Walnuts and Brazil nuts are rich in L-Arginine and vitamin E that are important for NO production. 4. Spinach – Contains high nitrate content and one of the excellent nitric oxide foods. 5. Kiwi fruit – Contains high vitamin C required for NO production. 6. 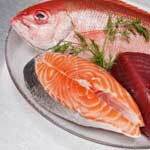 Sea food – Protein rich foods have good amounts of L-Arginine. 7. Lean meats – Good source of B vitamins and protein that are required pre-cursors. 8. Broccoli – Excellent source of vitamin C and also contains good amounts of nitrates. 9. Red chili peppers – A study showed that capsaicin found in peppers increased the production of nitric oxide and helped reducing blood pressure. 10. Lettuce – Contains high amounts of nitrate and also a good source of vitamins and minerals. Apart from nitric oxide foods which can be excellent sources of nitric oxide, you can also consider nitric oxide booster energy pills that are shown increase athletic performance and supply energy. However, consult your doctor before taking any nitric oxide supplements.